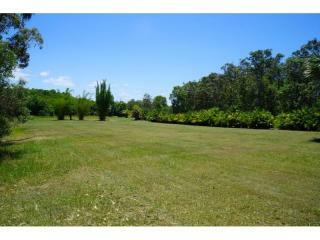 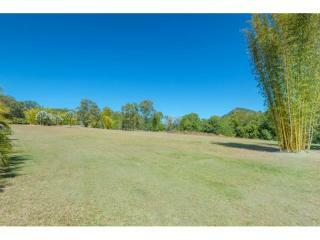 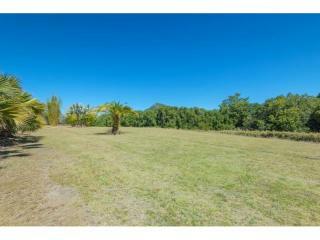 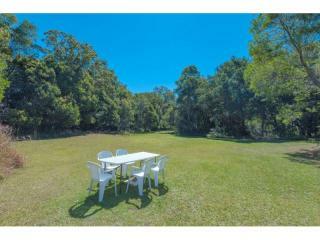 A resort style property with amazing views, set in 14 beautiful acres and surrounded by hundreds of acres of gently rolling rural land. 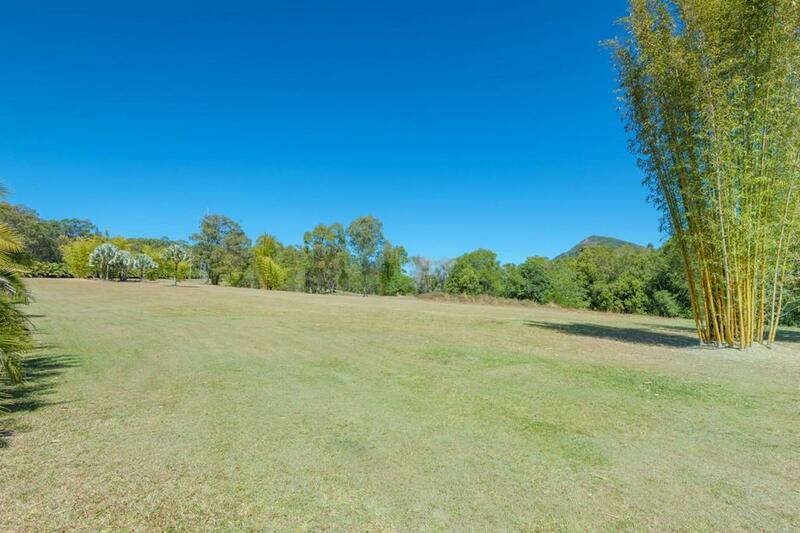 The property gently follows Six Mile Creek which creates private yet flat and useable fields for riders or walkers while tree surrounded meadows are perfect for nature lovers. 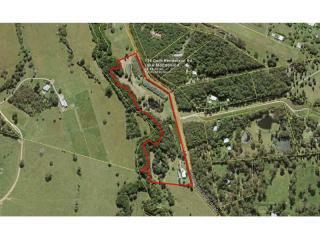 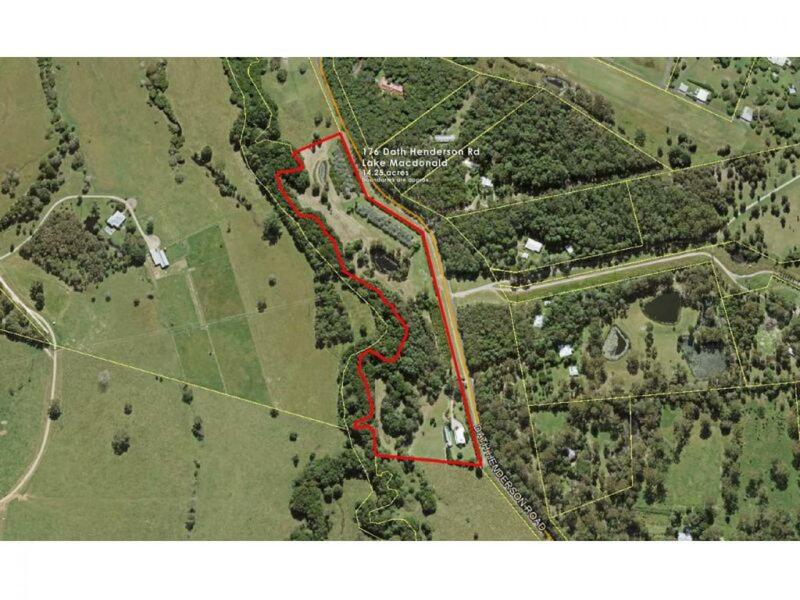 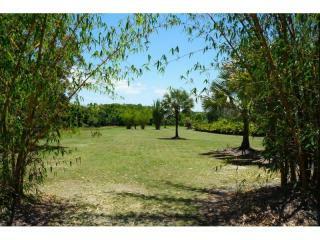 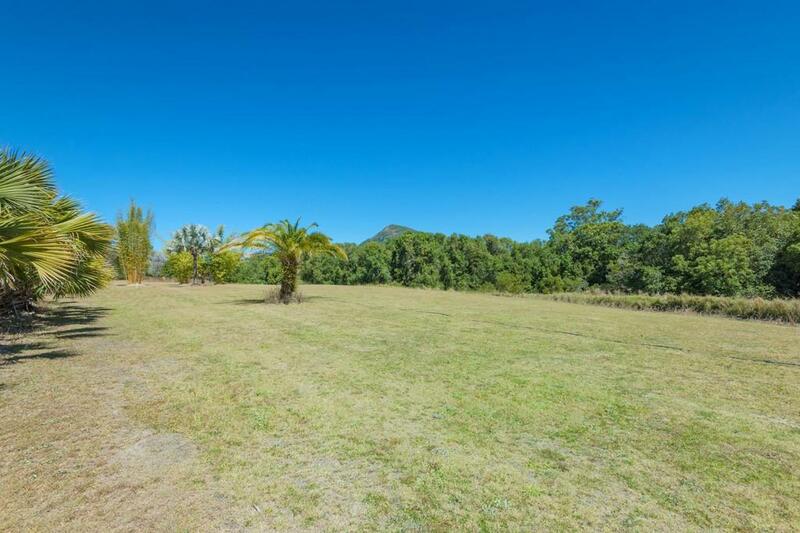 The home paddock within close proximity to the residence is ideal for horse owners with a stable and areas observable from the house. 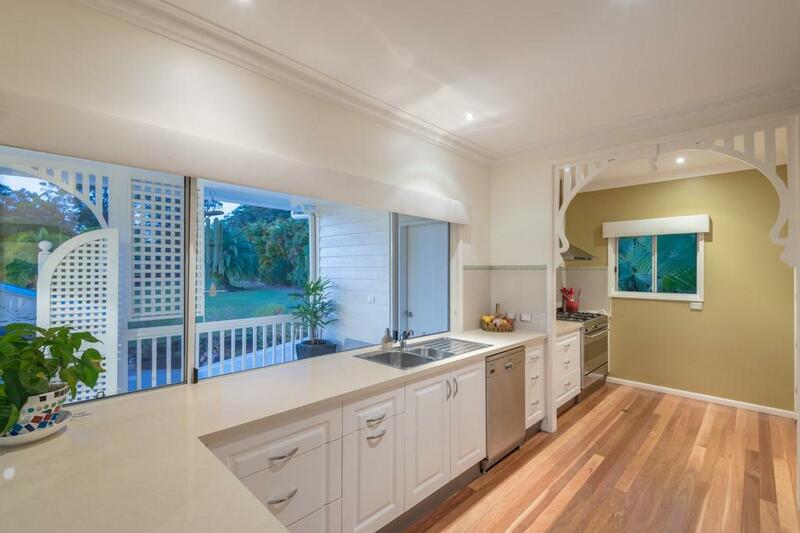 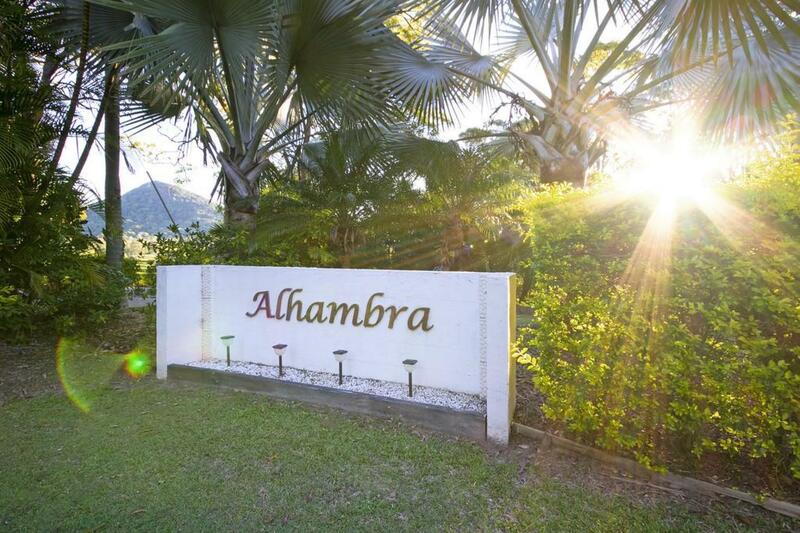 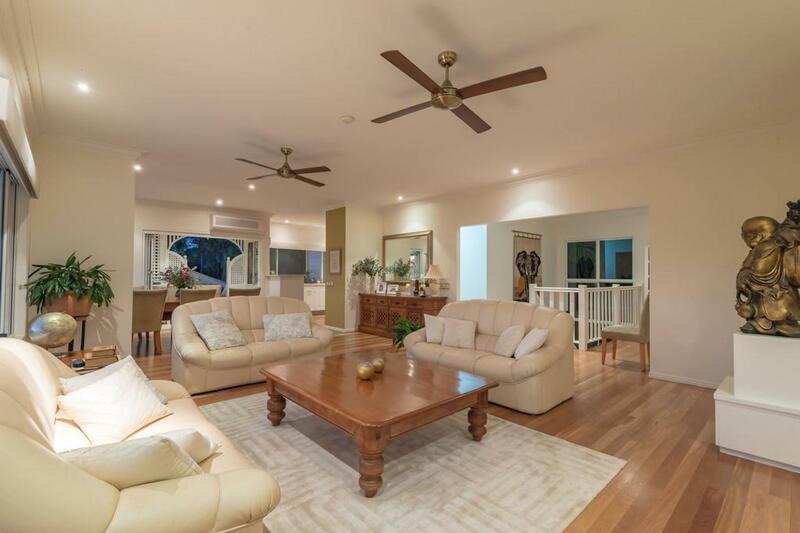 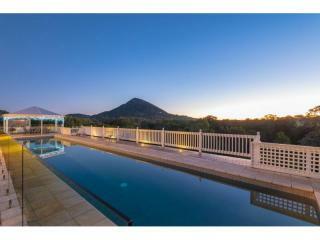 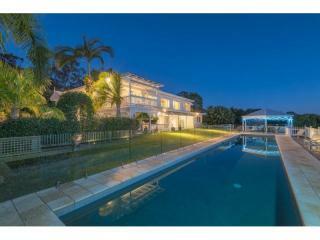 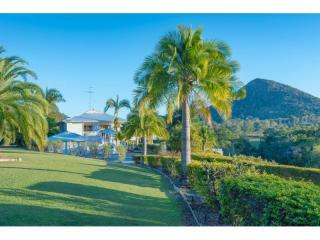 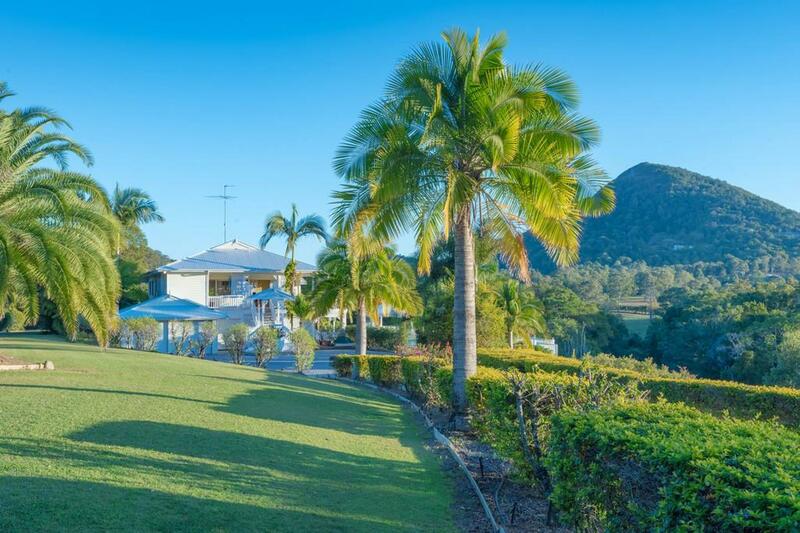 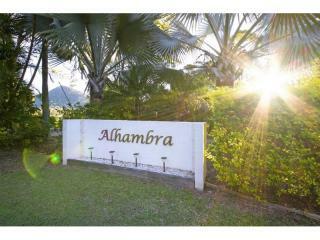 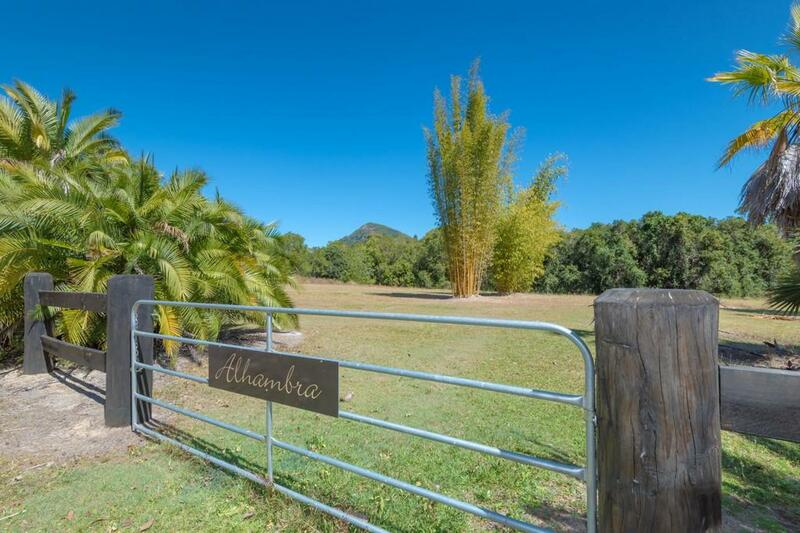 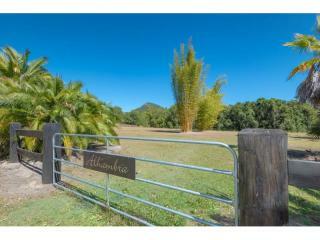 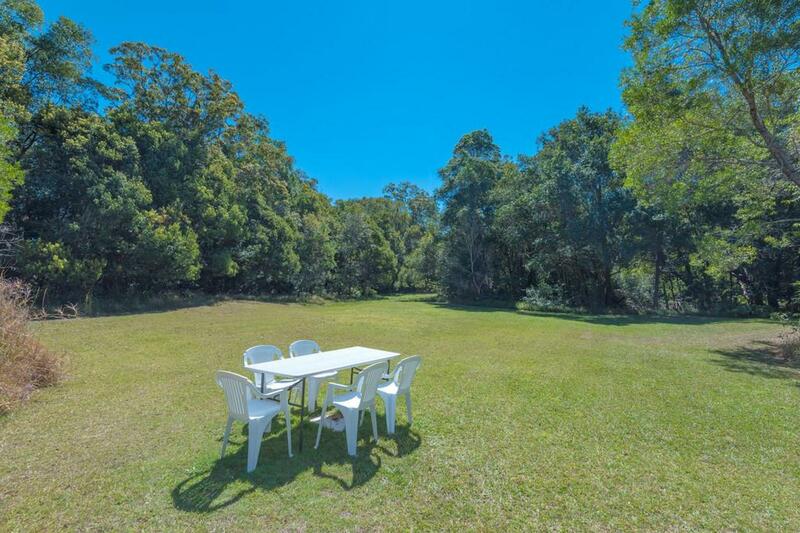 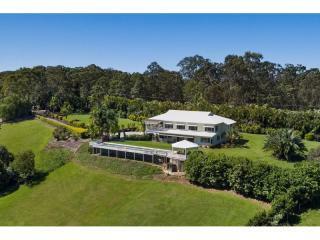 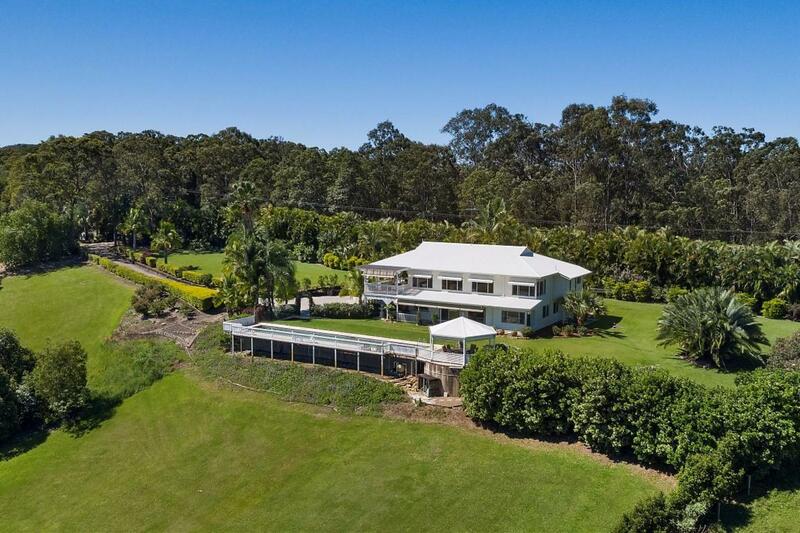 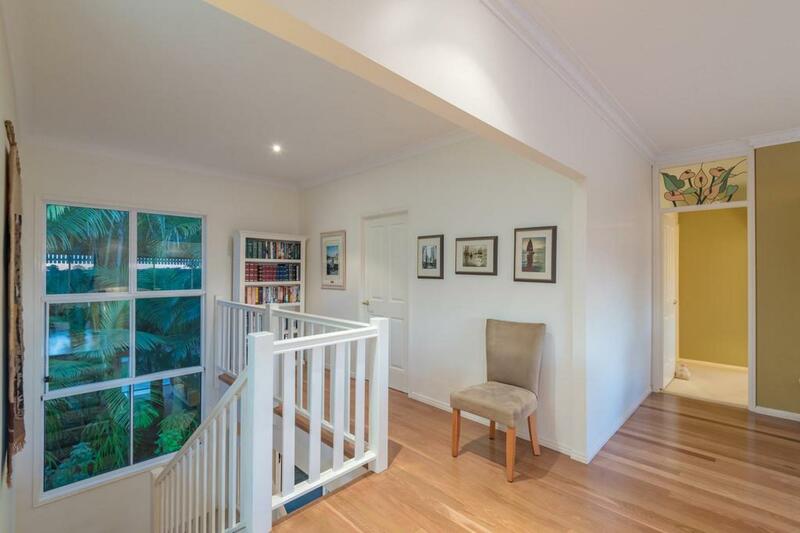 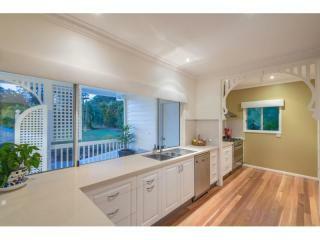 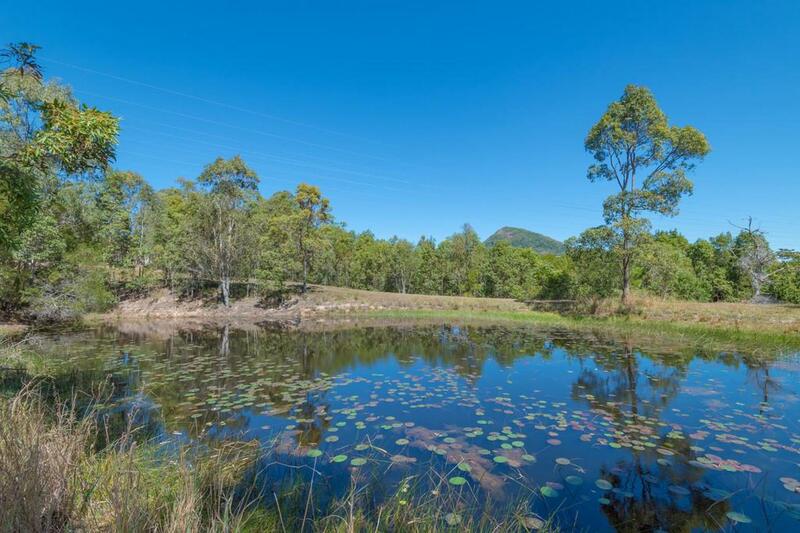 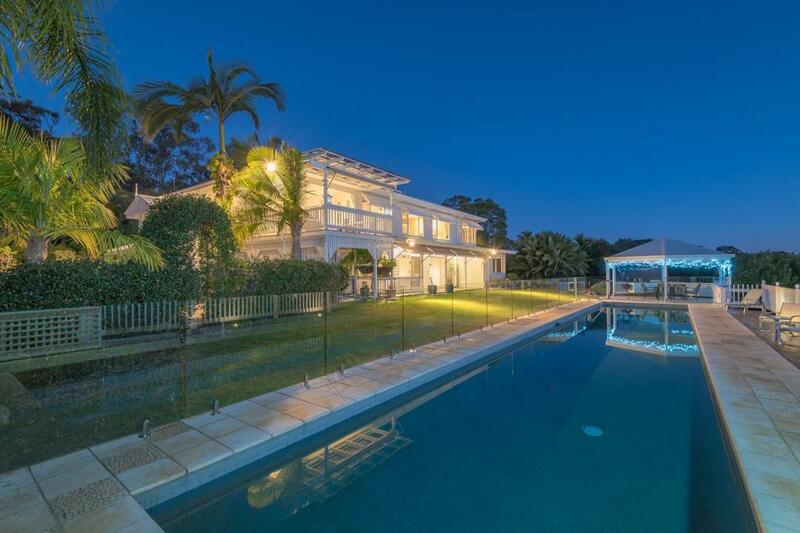 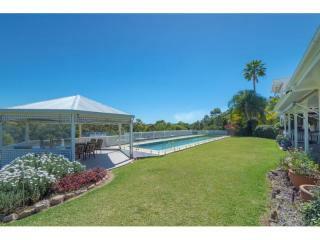 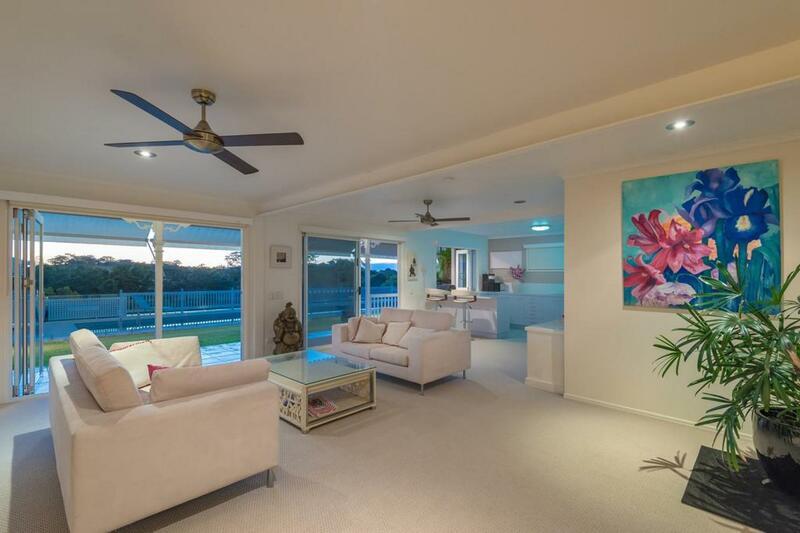 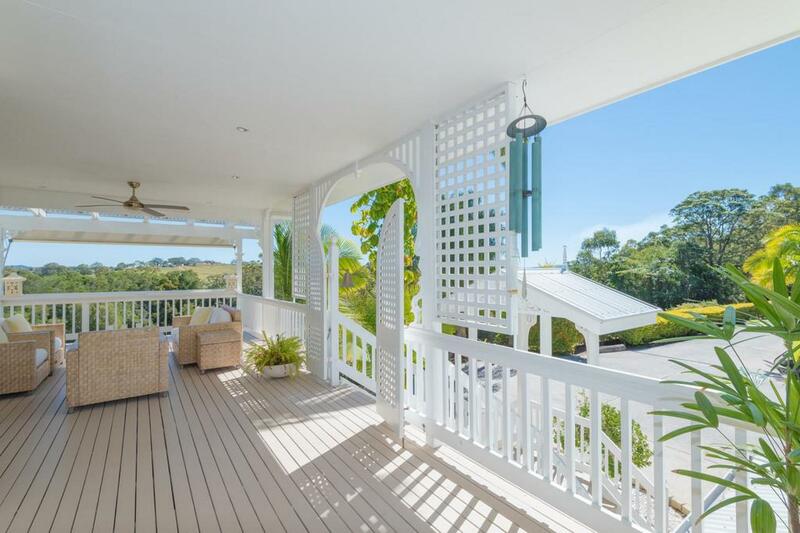 The residence itself has a spectacular entry with a hedge lined, concrete driveway and beautiful established gardens all dominated by the close presence of majestic Cooroy Mountain. 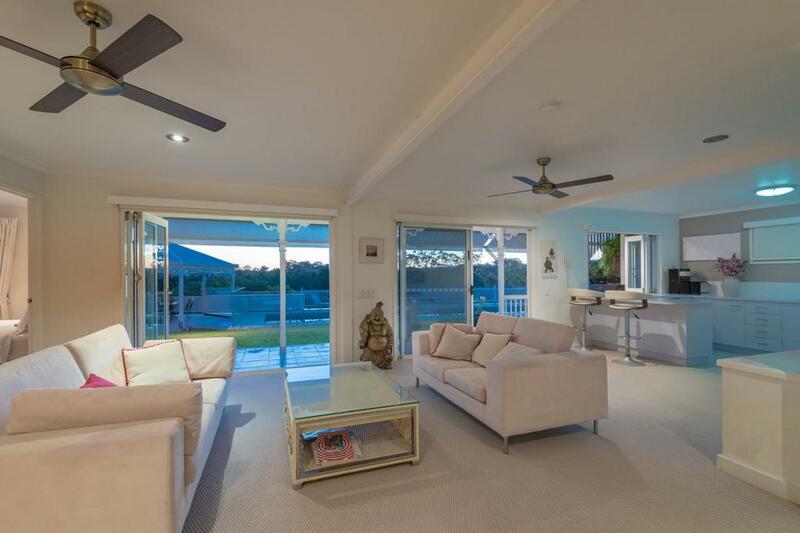 The residence is for entertainers with the spacious lower level containing wet bar and living area along with three bedrooms (one with ensuite), bathroom, laundry and kitchen opening onto a covered deck and manicured lawns. 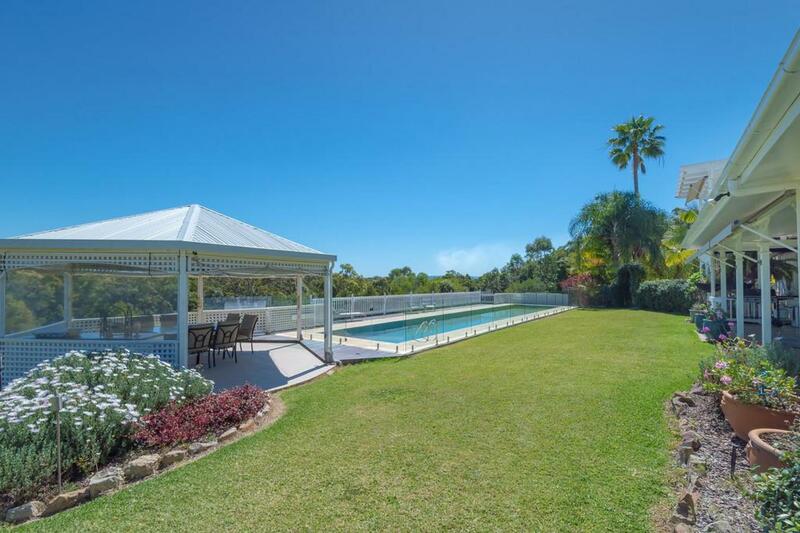 There is a cabana, just perfect for family b-b-q's or for cool evening dinners- and of course there is the 20 metre lap pool. 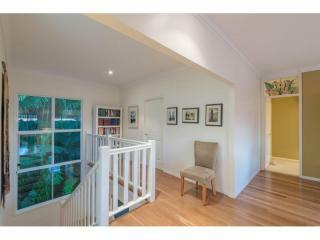 The upper level is unashamedly the "Big kid's area". 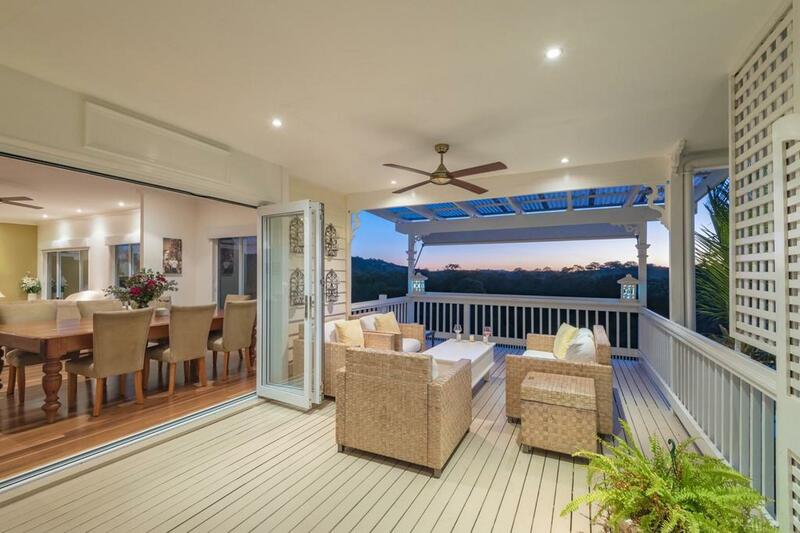 This level contains the main kitchen and dining area opening onto the "Sunset Bar" - just perfect for drinks as the sun gently disappears and shadows enhance the hinterland landscape. 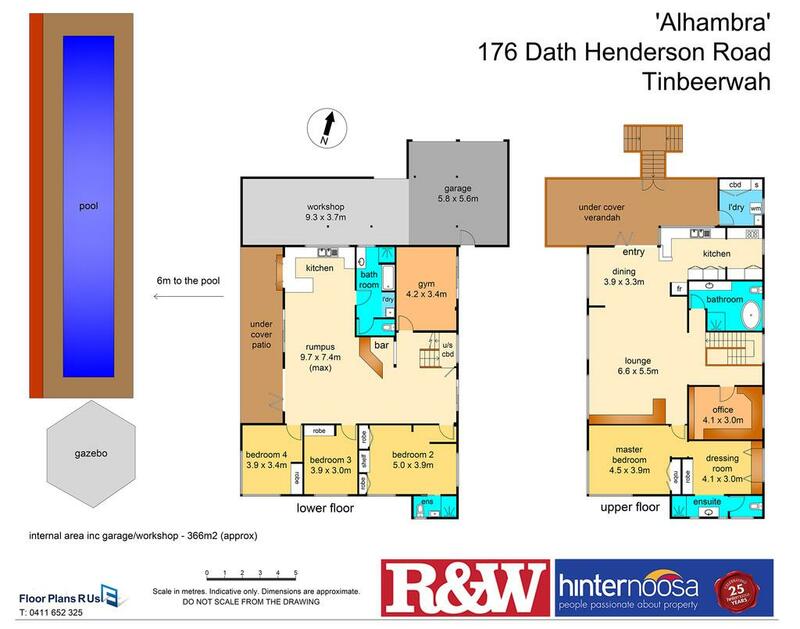 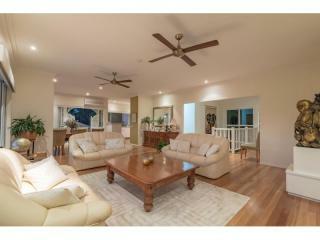 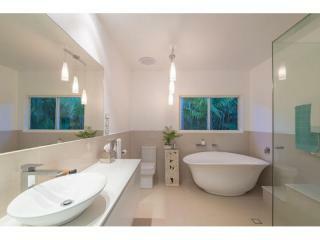 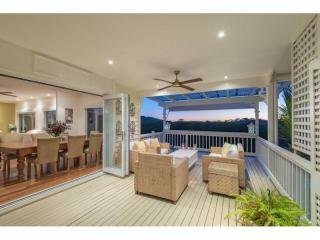 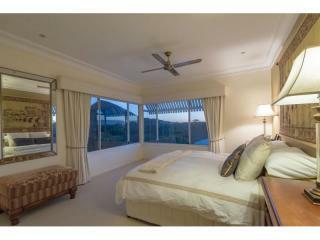 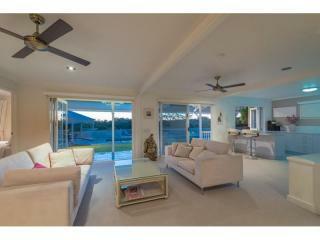 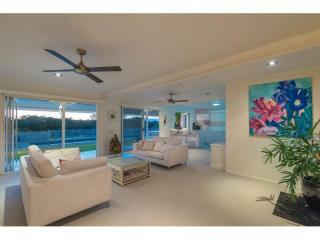 Also on this level is a spacious living area and a magnificent guest's bathroom with tulip bathtub. 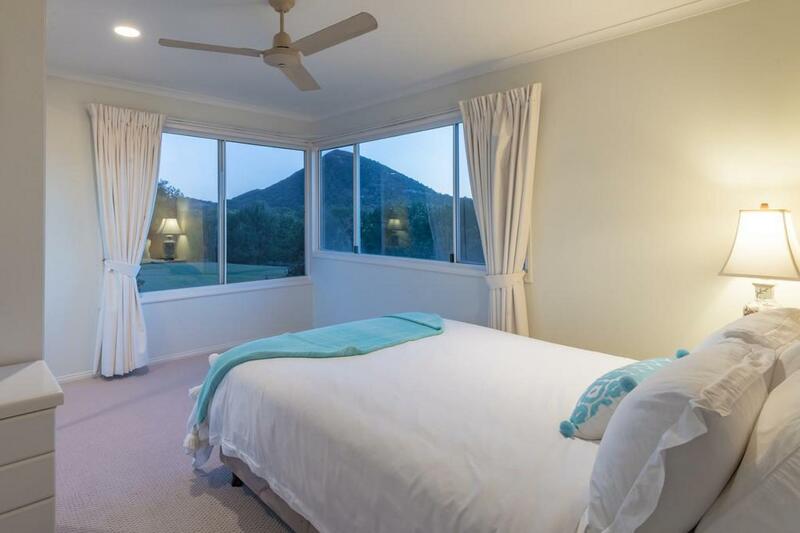 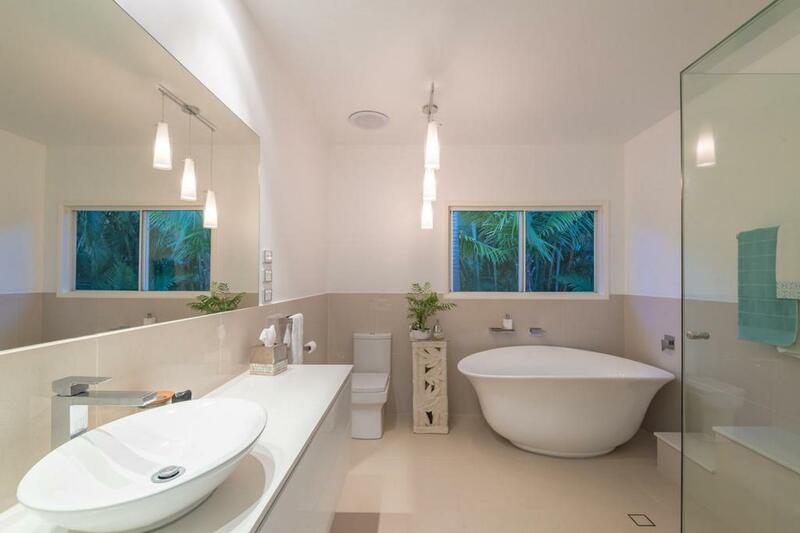 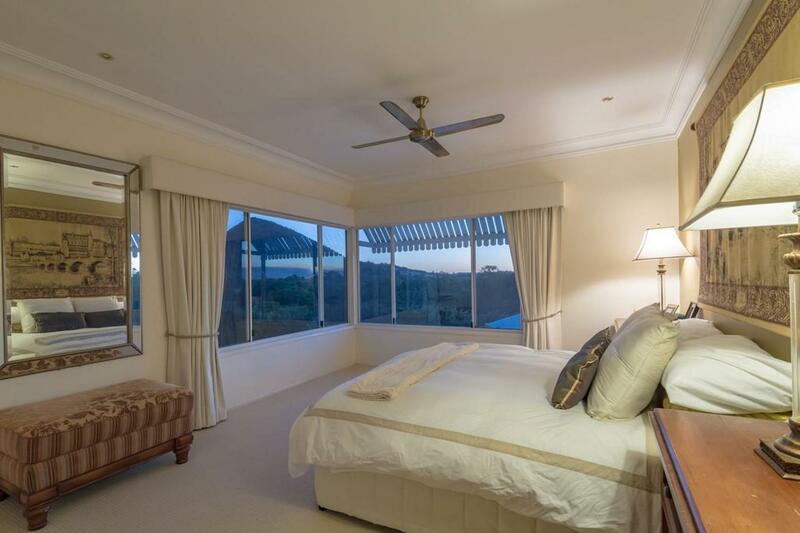 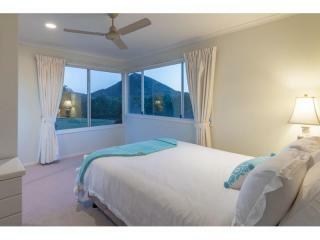 These all help to compliment the main bedroom suite of dressing room, ensuite bathroom and a bedroom with views of Cooroy Mountain that makes waking up a pleasure. 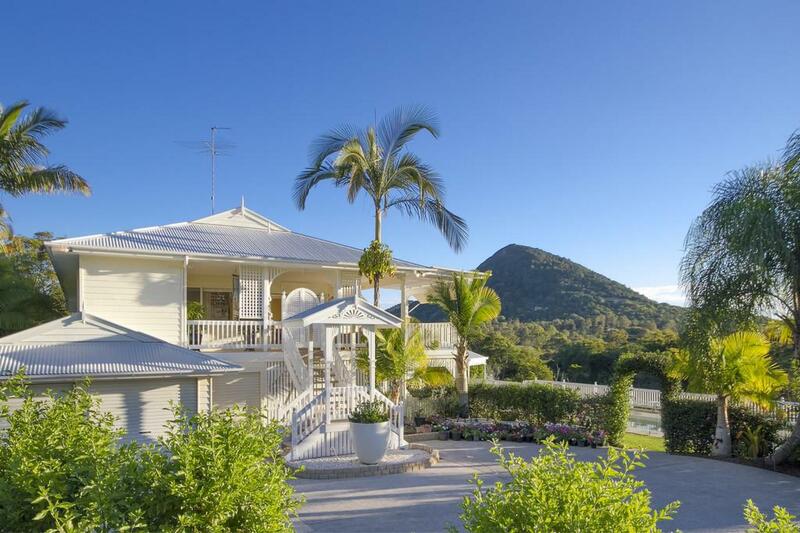 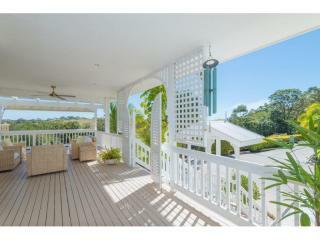 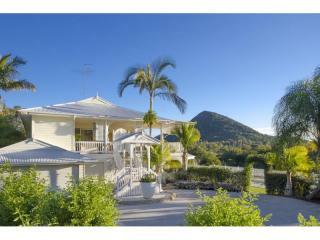 The house is a Queenslander but probably with a Caribbean cousin. 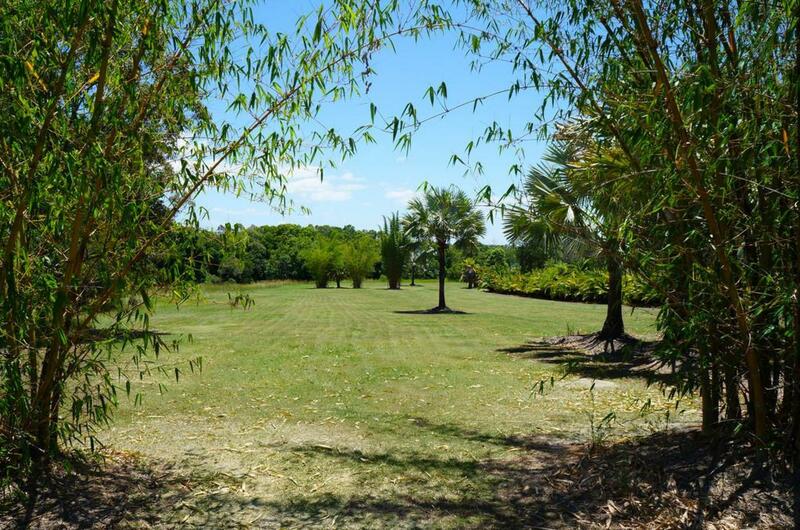 The grounds are lush and established and did we mention the gym, the professional office and best of all the approval to build a caretakers residence on the far end of the Estate- just the thing for visitors or relatives. 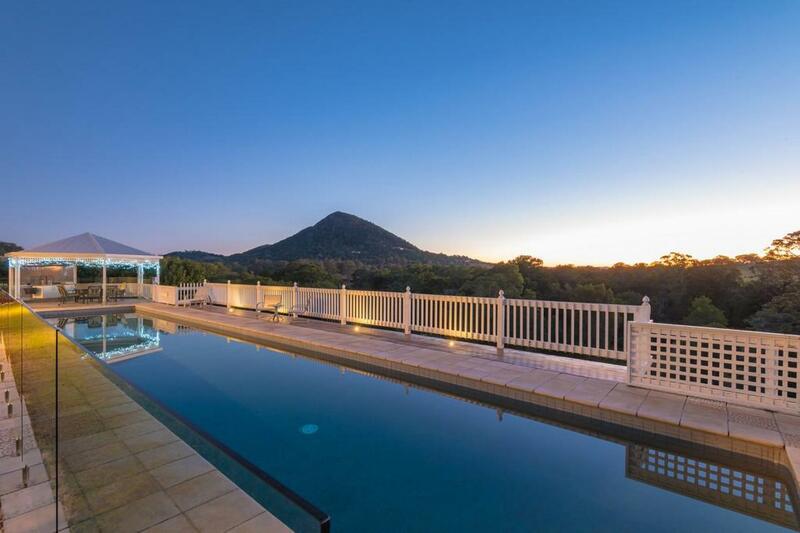 This is one to be seen.